You are a unique person with your own personal life journey. Whatever your life journey may look like, I am here to support you. Together, we can tackle your problems, make sense of your life experiences and work towards reaching your goals. On these pages, you can find out what this support may look like by ‘meeting’ me and getting a first impression. There are also some links which you may find helpful plus general information about counselling & psychotherapy. You are an individual and I first want to get to know you! Who you are, the kinds of things that are important to you, your current life situation, what brought you to counselling, and what you hope to get out of therapy. Also, there will be time to discuss any questions or concerns you may have. These are some of the things we will likely discuss in a first session. I offer this first session at a reduced rate of only £15 with no obligation to continue! If, after your introductory session, you choose to continue our sessions together, we will use your goals as a guide and I will draw from the following therapy forms and techniques (as they appeal to you and how applicable they are in light of your individual situation). This form of therapy seeks to identify your personal ‘life patterns’ or ‘lenses’ through which you see life (known as schemata). These schemata will have been formed pretty early in life, they are the motivational factors that drive your behaviour, emotions, thoughts, attitudes and even your perception. Every person has their own individual schemata, some will be positive and helping you to reach your personal goals, some will be negative and interfering with things that are important to you. Often, even just identifying your patterns can be helpful – but the aim will be to strengthen the positive, helpful schemata and weaken the negative ones. Rather than a specific form of therapy, this is a general approach to counselling & psychotherapy. It means that I will aim to find out what is important to you personally, what makes you unique, and what your psychological needs are, to adapt my style accordingly and to build up and use the strengths you already have, even if (or especially when) they are buried beneath your problems. CBT focuses on the interaction between thoughts, feelings and behaviours. It aims to bring negative automatic thinking to a more conscious level so that it’s influence on problematic behaviour becomes more clear; to change or weaken negative thinking; to brake negative cycles; and to build up more helpful actions. CBT has been widely researched, adapted and extended over the years since its very basic beginnings in the 1960s, and boasts of many techniques to help overcome specific difficulties. One of its great benefits is that it enables you to build up a ‘toolkit’ that you can use on your own, between sessions and after therapy has ended. These approaches focus more on the ‘how’ than on the ‘what’. That means, they seek to bring more clarity into how you experience and express things, for instance relationships, thoughts and feelings. Emotion-focused therapy actively uses your emotions as a starting point to a deeper understanding of what is going on. The aim is that through better awareness, acceptance becomes possible and that in itself is an important step towards integration and change if desired. I find it helpful to integrate a systemic perspective, which means that each individual is also affected by and in turn affects the people surrounding him/her (in the past and present). In light of this, I like to offer the opportunity to bring a person close to you (for instance a family member, a partner, or a friend) along to one of the early sessions to get a broader perspective on your circumstances. Depending on your situation and preferences, I will also incorporate mindfulness and relaxation/imaginary techniques such as hypnotherapy and PMR (progressive muscle relaxation). You might want to know how long the therapy will last for and how frequently the sessions will be. This will largely depend on you and your problems and goals, but I usually work on a basis of weekly sessions, sometimes spaced out more, especially towards the end of therapy, and will be able to make an initial suggestion after our first session. In any case, we will review the progress in regular intervals and you are free to end therapy with me at any time (ideally, this will happen in a way we have mutually planned). I studied Psychology at the University of Zurich for 5 years, focusing on Clinical Psychology and Neuropsychology, and graduating with a Masters Degree (M.Sc.). I continued my professional education and training with a 4-year postgraduate course in Psychotherapy at an integrative Psychotherapy Institution (Klaus-Grawe-Institut/University of Basel), receiving upon completion a Master of Advanced Studies in Cognitive-behavioural and Interpersonal Psychotherapy. I have worked with lots of different adults of all ages (18 to over 80), from all walks of life and with varying degrees of psychological distress and mental health difficulties. My work experience includes working on a therapy ward of a psychiatric hospital, also on an emergency ward and an assessment/early intervention ward, in outpatient clinics focused on anxiety- and stress-related problems and on sleeping problems, and in a private therapy institution. I have experience with short- and long-term counselling and psychotherapy, psychiatric, psychological and neuropsychological assessment, individual and group therapy. Issues I work with include depression, anxiety, stress-related problems, problems related to new life situations, post-traumatic stress, personality disorders, anxiety and phobias, sleeping problems, eating disorders, relationship problems and many more. 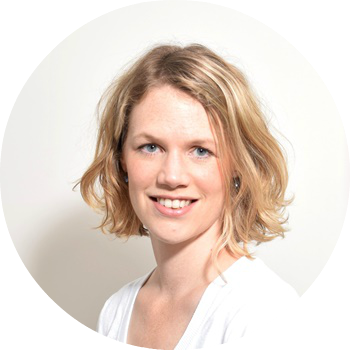 I am a warm and enthusiastic Psychologist and Psychotherapist in my thirties, originally from Switzerland, but now living in Birmingham with my husband and two children. My in-depth, integrative professional qualifications and varied work experience make me well equipped to work with you. I am committed to ongoing CPD, regular supervision and I am fully professionally insured. All sessions available in English or German. I look forward to meeting you! A normal session lasts 60 minutes. There are a few parking spaces immediately in front of the clinic and on either side of the road. Bus routes 48 and 11 stop close by. Also, Buses 647 and 29/29a stop 2 minutes walk away at the bottom of Harborne Park Road and 98/99 stop at the bottom of Metchley Lane.